It's something you don't ever want to hear about, but unfortunately, it happens. It happens far more frequently than it should. A 'local' officer was shot and killed in the line of duty. 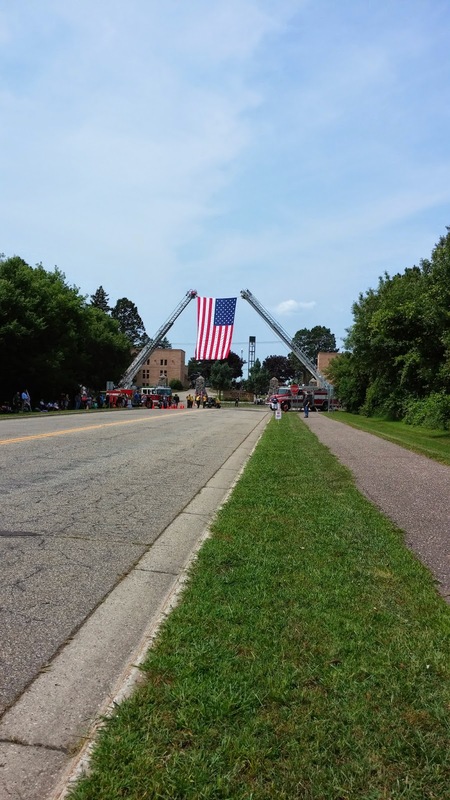 I've seen the processions before, on both local and national news, and while not something fun and exciting to do with our kids, I still felt it was something important, that we could do. I packed up the kids and we went to join in the 1000's of others who showed up to pay their respects. Roads were closed, and finding a spot to park was a bit of a challenge. 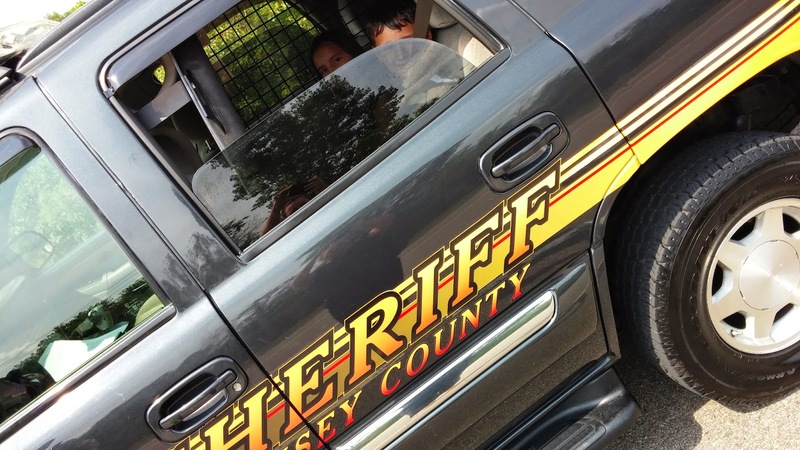 And then, another officer stopped, told us to hop in...and he drove us the mile+ up to the procession site. 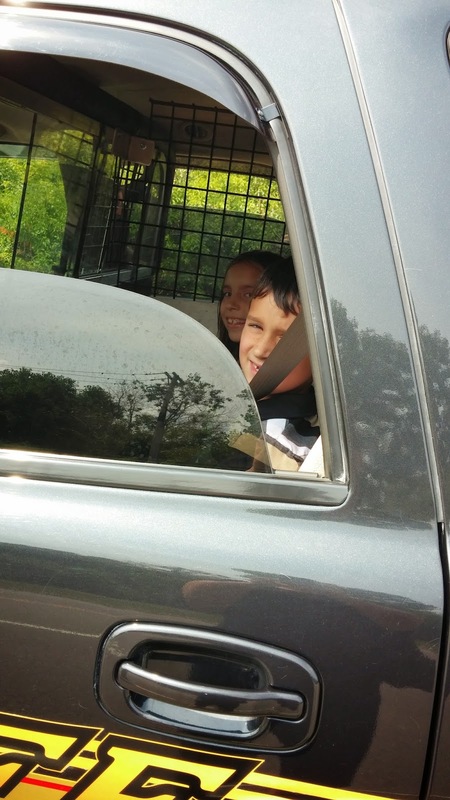 Here's hoping this is the only time I ever find one or both of our children in the back of a police vehicle! 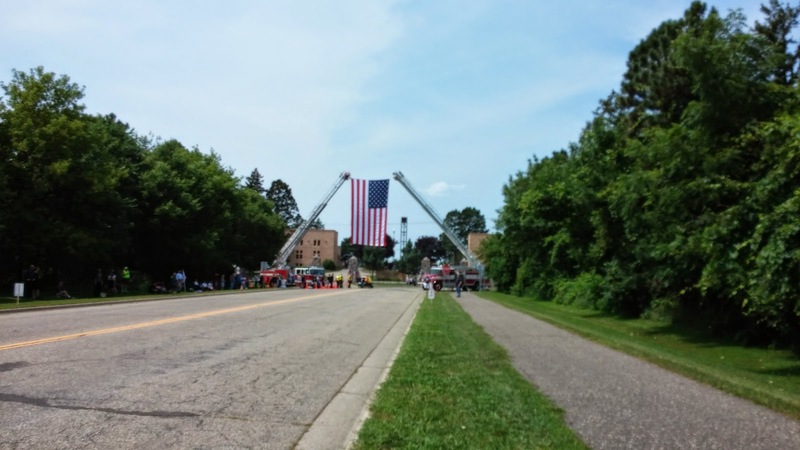 The entrance to the Cemetery, at the end of the procession route, was breathtaking. 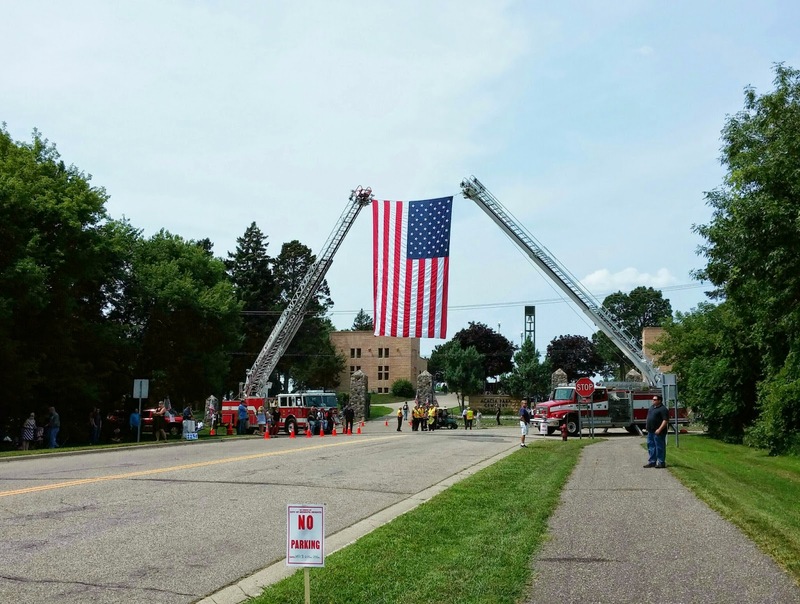 Two firetrucks, holding a giant American Flag. 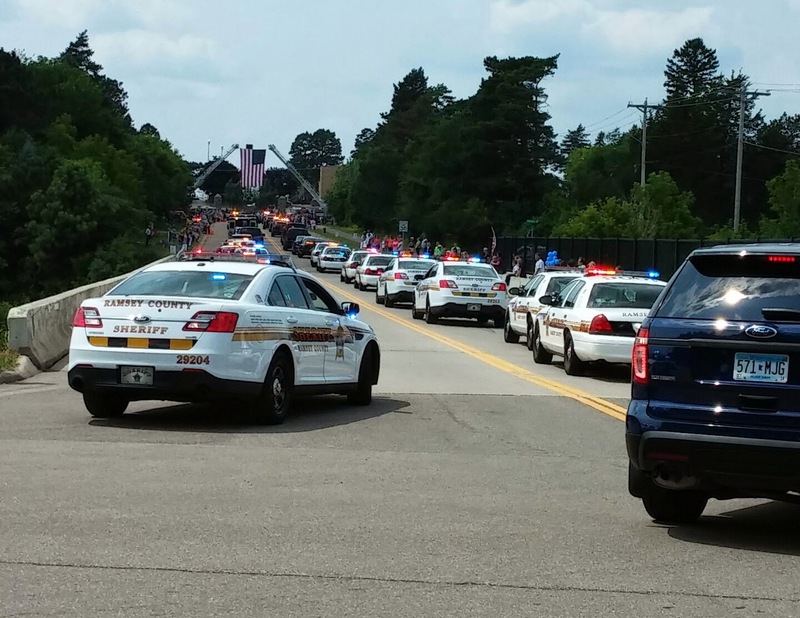 The traffic on the freeway UNDER the bridge where the processional crossed, even stopped and paid their respects as well. 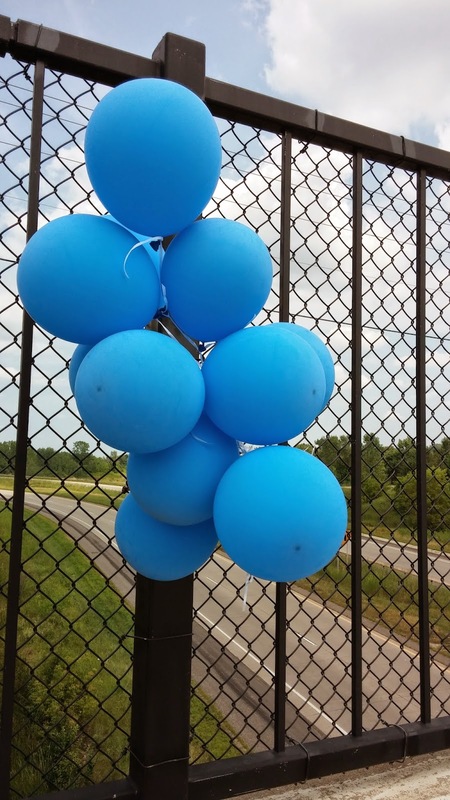 Balloons adorned the bridges. Hundreds, maybe thousands? 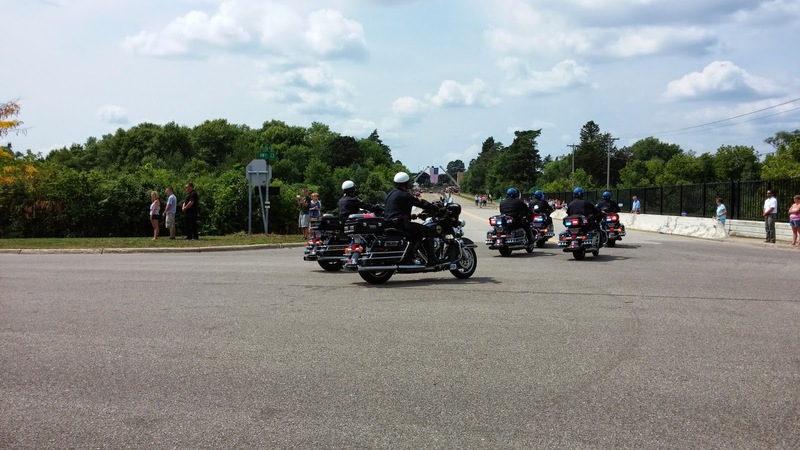 of police vehicles in various shapes, sizes, colors showed up to drive the route. and the distant sound of bagpipes, playing in the cemetery. Again, it is not something that you wish for, or hope to attend, but I brought our kids to this, as one of life's important events. 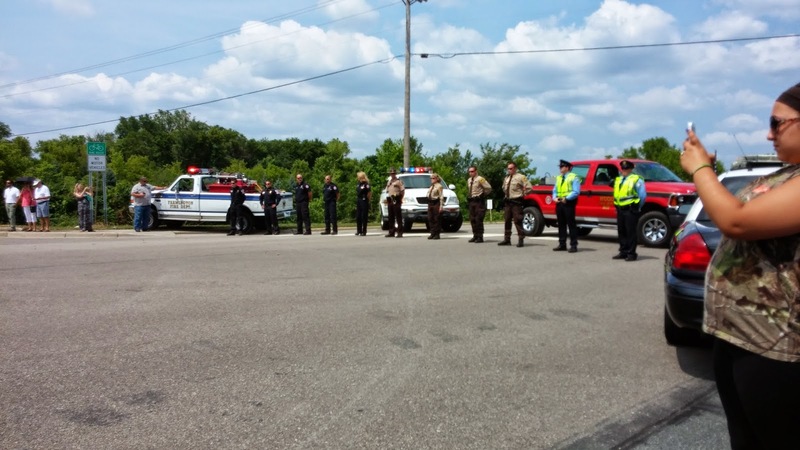 Paying our respects to an officer who died in the line of duty. Many prayers to you and yours.